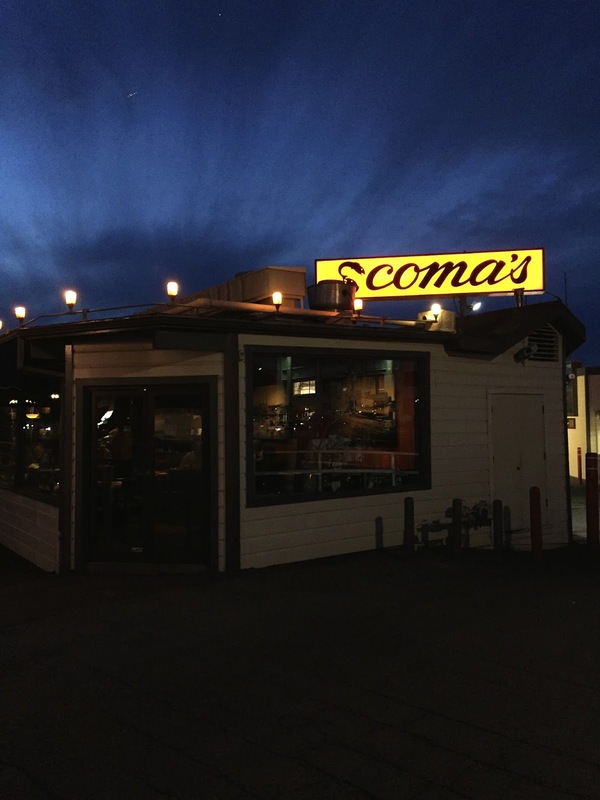 My boyfriend and I recently did an all day date in the city that ended with dinner at this little waterfront restaurant in fisherman's wharf called Scoma's. We didn't realize it at the time, but it is apparently one of the highest grossing independent restaurants in the nation and a local favorite. To get to it we walked down this little alley that led right to the waterfront with Scoma's restaurant and their fish-receiving station. The wait was so long we opted to claim seating at the bar as soon two seats opened up. We lucked out because I actually think they were the best seats for evening when you can't see the water from inside. 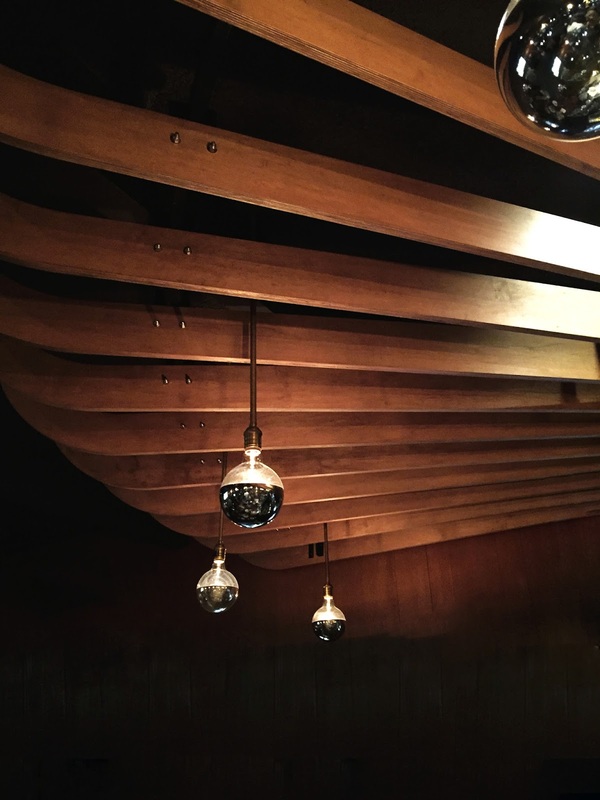 We had the prettiest view of the gorgeously designed bar and its alluring lights and wood structures. 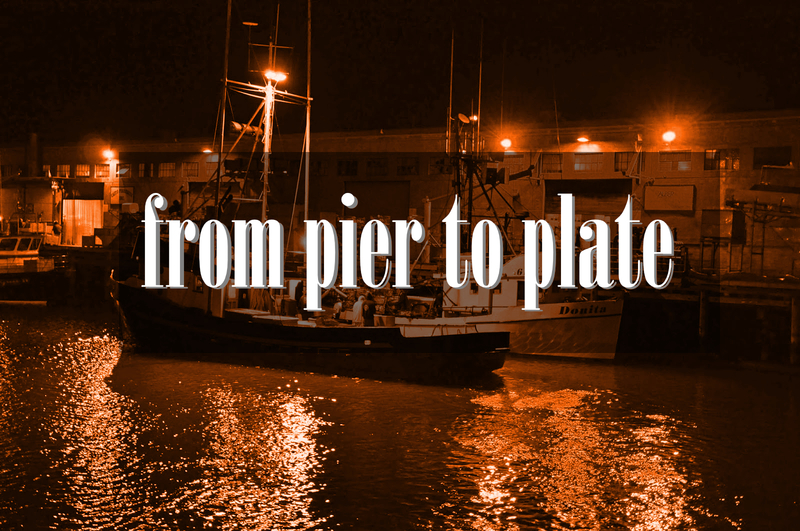 I was so enamored with the lights I was suddenly sympathetic to the fresh fish served there-I could understand how one could be lured in with shiny bait. Scoma's is a family place that has been opened for 50 years-full of history, details, and practiced success. The drinks were classic and well made-reminding you of another era when Humphrey Bogart dominated the screens and everyone's hearts. The food was incredible and the bar staff was very attentive, knowledgable, and accommodating with allergies. We were so ravenous I forgot to take pictures of the food and drinks before consuming them (which should tell you how delicious it was!). 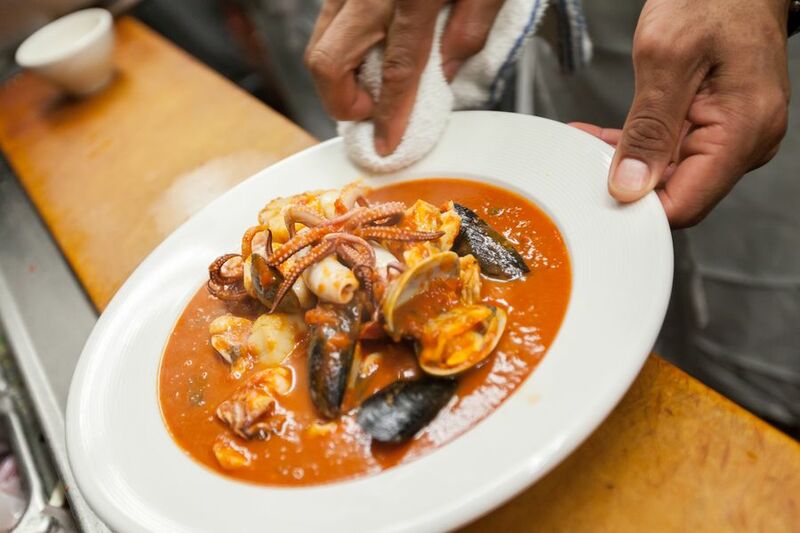 I had to borrow a picture from Eater SF to show you one of the dishes we got. If you love seafood I would absolutely recommend Scoma's for both locals and those passing through. It is a bit pricey, however, so I would advise going for happy hour specials or special occasions if you're wanting to make an event of it.